Some performers manage to put such a gloss over their public persona that they become almost inhuman. It’s understandable, the scrutiny of the media spotlight, the callous judgements of the masses, and the fickleness of so-called fans can see personal attacks and misunderstandings amplified with devastating consequences. It can cause strange personas to emerge in order to deal with the resulting pressures, whether it’s the brash confidence of Kanye West, the elusive eccentricity of Thom Yorke, or the opinion agnosticism of Chris Martin. Though each has its reason to exist, there is nothing braver than the artist who bares all in every situation. It leaves the artist vulnerable and exposed. 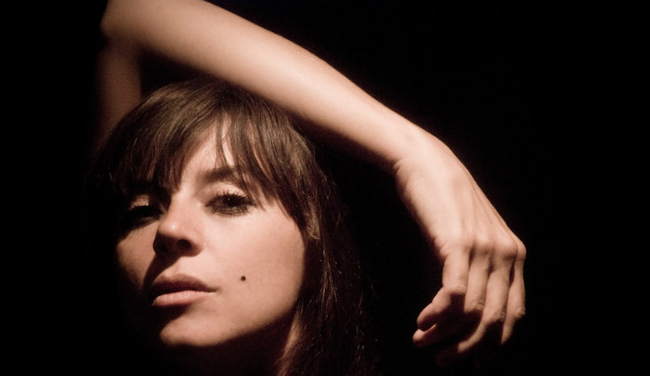 Very few would argue that Chan Marshall, known as Cat Power, is one of those that hides nothing in what she does. She wears her heart on her sleeve and deals with the repercussions that entails. Chan choose a seated theatre venue to showcase her music at its most intimate, setting it straight as night of quiet contemplation rather than dancing along to the upbeat tracks from her 2012 studio album ‘Sun’. On stage sits nothing but a guitar amplifier with its guitar, a piano, some microphones, and a series of bulbs scattered out of stomping range that serve as the only stage lighting. It’s as low key as it can possibly be, translating the atmosphere of a small quiet bar to the large theatre space of the Powerhouse main hall. The lights were so low that when Chan first walked onto stage there was no reaction, and not until she quietly said hello did the crowd realise who it was and begin clapping. Once her amplifier was on she stood behind her dual mics to open with the one chord tantric ambience of Maria/ Old Detroit. The dual mics created a phased double tracked effect which added a psychedelic flavour to Chan’s voice whenever used. It made the lyrics harder to distinguish but gave the sound an otherworldly quality, which seemed to fit Chan’s sound. As the show progressed, Chan seemed unhappy with the volume levels of the instruments, visually getting them to be reduced till it was as though nothing but her vocals were amplified beyond the stage itself. The whisper of your neighbour was enough to disturb the performance, so quiet was it all. As Chan sat at the piano, the squeak of pedals almost drowned out the playing itself, creating a strange rhythmic accompaniment to the songs being played. Each song flowed from one to the other with gaps or breaks only appearing when Chan seemed to be in contemplation of where to take things next. Her own tracks segued into covers ranging from Marvin Gaye’s Can I Get A Witness to Prince’s Sometimes It Snows In April (more specifically D’Angelo’s version of it Chan explained), some faithfully played while some were reimagined seemingly spontaneously. It was one of many strange moments which serve no function, they’re just Chan doing what she feels. At one point Chan stopped playing altogether to explain how these songs aren’t just meaningless lyrics to her, but the entire process of playing them brings up the pain from their subject matters. At least this is what I think she was trying to say, since her spoken sentences were fragmented, broken up, as though we’re reading the thought process of her mind via the translations of William Shatner. When the crowd silently gave no reaction to this information, unsure how to process it, Chan moved on to explaining how she liked to make people laugh before leaping into a bout of surreal physical comedy that changed the mood direction once again. It was one of many strange moments which serve no function, they’re just Chan doing what she feels. The performance lasted over two hours touring through much of Chan’s nine-album back catalogue. Tracks from ‘Sun’ were stripped back to their barebones, while a number of previously unreleased tracks got an airing too. Crowd favourites such as The Greatest elicited some wooping, but quickly so as not to drown out the song iself. By the end Chan was standing on stage pretending to smoke, telling everyone she’s not leaving the stage till everyone is gone. It was a goofy way to end the show and very much seems like something Chan thought up off the top of her head, smiling to herself at the silliness of it all. This was true intimacy, everything stripped back till there was nothing left but Chan herself. Occasional shouts such as “We love you Chan!” showed the mutual respect between the audience and performer. May others lead the courageous example Chan Marshall set on stage that evening.